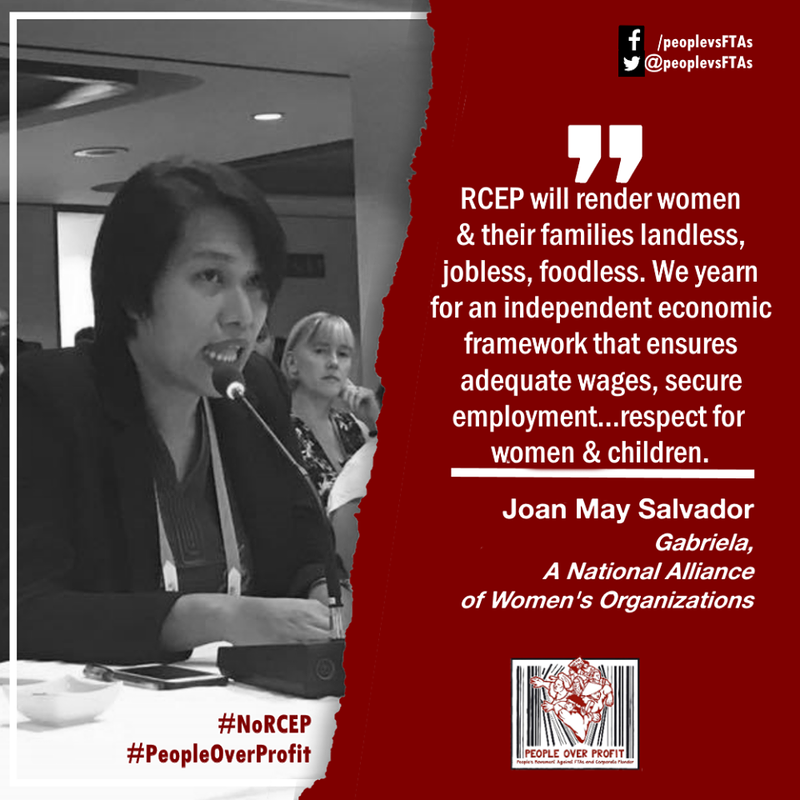 What do women of the region know of the RCEP ? We boldly say : Nothing and everything. Nothing, for the obvious reason that every important agenda, every dealings and wheelings in the eight rounds of negotiations, has been kept secret from the very people who will bear the brunt of the outcome of this trade deal. But as far as we know of the objectives of the RCEP to consolidate the region and further advance economic liberalization, to set uniform rules on investments, migration, intellectual property, dispute settlement and investment protection, we know everything about the RCEP. Insofar as the RCEP is pushing for economic liberalization, privatization of public services, market deregulation and denationalization—policies which have brought upon women intensifying poverty, joblesness, food insecurity, and the overall disempowerment of half of humankind—we know everything about the RCEP.